» Gaming PC Builds » Pre-Built or Custom Gaming PC, What’s The Better Route? Luckily it doesn’t take a computer scientist to put a PC together and there is plenty of material out there to help you out! Let’s go over both choices and decide which is the better route. Do you want to learn how to build a PC? Do you want to order a PC online and have it work right when you plug it in? Do you want to get the most bang for your buck or are you willing to pay for convenience? These are the types of questions you need to ask yourself before deciding on going with a pre-built gaming PC or doing a custom gaming PC build of your own. Both have their pros and cons which is what we’ll be going over in the next couple of sections. Usually a pre-built gaming PC means that you’re getting ripped off a bit because the people working for the company making the computers need to get paid and the company needs to make a profit. There are plenty of examples of companies that aren’t making the PCs with power per dollar spent in mind. A couple of good examples would be Xotic PC, Digital Storm Computers and Xidax – The builds themselves are high quality, you can expect to get a PC that’s nicely built and it’ll work. What you can’t expect is to pay $600 for a pre-built PC and be able to run higher demanding titles over the next few years. Some companies make PCs where you can’t even upgrade them yourself, after opening up the case you void any sort of warranty you had with them. The beauty of a gaming PC is the freedom that comes with it. You pay a higher price than traditional consoles because you gain the freedom to use it however you like to. There are some companies out there that don’t promote the best part about having a gaming rig. 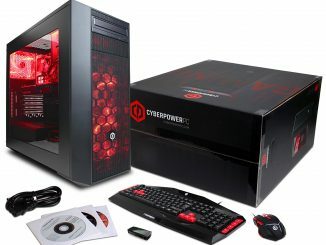 Not all pre-built PCs are bad though, check out these pre-builts from CyberPowerPC for example, the prices aren’t too much higher than what it’d be to build them and they have the spec requirements met even for gaming in virtual reality. There are a few different versions of the build on the product page. Another reason for getting a pre-built PC is that most will come with a hardware warranty and/or tech support. This is the usual reason why some people want to get something that is pre-built because they have a support team ready to help them out with any problems they might encounter. I can’t personally vouch for what having that type of support is like since I’ve never had a pre-built of my own, I’ve only messed around with some friends PCs before. Pre-built PCs also come with Windows 10 and they also usually come with a keyboard and a mouse. These extra costs that are added to doing a build of your own sometimes scares people away from doing a custom gaming PC build. Another gripe that I have with some pre-built PCs is that bloatware might come with. Some sort of anti-virus program trying to sell you packages, random driver software that isn’t essential or other annoying software with pop ups could come pre-installed. This isn’t with every pre-built, I’d make sure to do your research on if a PC has bloatware before getting one. 9/10 times you’ll be able to uninstall them. Overall, a pre-built PC provides an experience that is ready to go right when it gets delivered to you. However, you don’t get an optimal power per dollar spent and with a few companies out there you aren’t able to upgrade the PC since it voids their warranty policy. Ready to use right away, no assembly required. Usually comes with Windows 10 and a keyboard/mouse combo. Tech support and hardware warranties usually come with. You don’t get an optimal level of power per dollar spent. Some companies have a seal on the PC where if broken, your warranty is void. You don’t get to choose the parts that you want for the actual cost of the parts. Some pre-built PCs might have bloatware pre-installed. There are plenty of reviews here on different pre-built PCs, I encourage you to read through some of them and see what would work best for you! Here is a list of PC reviews for you to check out. You could also decide to go with a build of your own which allows you to choose your own parts and have it built the way that you want it to be built. You get to optimize your budget and get the hardware at the right cost. One thing that most people make the mistake of thinking is that it takes a computer scientist to put a PC together. It’s not like you’d be soldering a motherboard together or creating your own video card, all of the parts are manufactured. They just need to be put together, kind of like legos. As long as you follow a good guide, have compatible parts and take your time then I believe anyone could put the parts into the right spots and have their custom PC come to life. A problem right now with building your own PC is that the markets for different hardware are kind of crazy. It’s mainly with RAM and video cards, memory costs have basically doubled over time and video cards are almost always out of stock or overpriced due to cryptocurrency mining. There are times where prices actually make sense and when the time is right it is almost always cheaper to go with a build of your own. These days it’s understandable why one would be debating going with a pre-built instead. The process of putting a PC together is exciting, you’re not only learning a new skill that’ll come in handy in the future but you’re also putting together something and watching it come alive! Some get stressed with their first build since it’s all new but you’ve got to remember to take your time and follow the right steps. Each piece of hardware comes with a manual you can read through to see how something will work. An aftermarket CPU cooler will come with instructions on how to install, your motherboard will come with a manual showing you the optimal slots to insert the RAM. After putting it together you’ll need to install an operating system such as Windows or Linux. Windows 10 is the most popular and most compatible operating system and can be installed via CD or through USB. There are plenty of tutorials on the USB side, using a CD is the easiest and most familiar method. Most people avoid using a CD drive with their build nowadays since everything is digital. When sharing a build here I still list the CD drive as an optional part for those that aren’t familiar or don’t want to mess around with booting from a USB drive. You’ll also need to get a keyboard and mouse separate from the build itself. This makes the overall cost a bit more than what the hardware costs by itself but overall you’d be paying more for parts that aren’t as high performing. You can optimize power per dollar spent. You can have the parts that you want and build it the way you want. Freedom to upgrade anything down the road. Depending on where you order from, you can have hardware warranties for cheap. Extra costs for an operating system and peripherals. Takes time to put together, especially for first time builders. Prices of parts can be high depending on the timing and the market. All in all, a custom gaming PC built by you will give you the right amount of power per dollar you spend and you’ll have the freedom to upgrade however you like. Upgrading is easier with a custom PC. 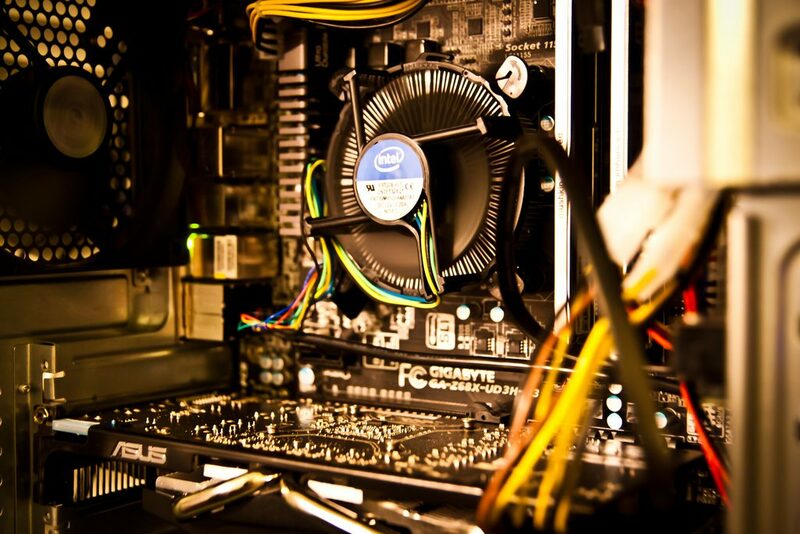 There are also usually PC part warranties depending on where you order your parts from. If you’d like to follow a guide to build your own rig then you should learn how to build a PC to get an idea of what you’re wanting to get and to make sure that you’re on the right path. Your personal preference is what it dials down to. If you want to get a pre-built PC then you should expect to pay more than what the PC is worth but you’ll also be able to plug it in, turn it on and start downloading games right away. If you want to build your own custom gaming PC then you’ll need to take the time to learn how putting a build together works, but you’ll also have your PC the way you want it. Want to look through reviews to help decide on a decent pre-built? Be sure to check out some PC reviews that are listed here. Wanting to build your own PC? You can start right here by choosing your budget, following the part guides and the video and you’ll be well on your way. So, are you going to be building your own rig? Or have you found a pre-built that you like? Tagged comparison, custom gaming pc, gaming pc build, pre built gaming pc. Bookmark the permalink. 4 Responses to Pre-Built or Custom Gaming PC, What’s The Better Route? Hello there! I’m trying to get my first gaming pc and I’m thinking about building my own gaming or buying a prebuilt. I’m on a budget and I’m not sure which one should I go to. After I read your article I think that building my own pc will save me more or I will get more for my money. I think I watched a video that I could get an operating system for less. I will surely try to research more. Thank you for sharing this information. Hey there John, yeah man in some cases you can save a bit going with a custom build and you can configure it the way that you see fit. But in today’s market, depending on what type of budget you’re working with, it might be more ideal to go with a pre-built desktop to save some money since hardware is at an all time high in pricing right now. Hey Colton, I really enjoyed reading your post about prebuilt or custom pcs. I think I can understand the people that buy prebuild pcs because they think it is rocket science to build one, but I would say custom building it is way more fun and there is plenty of information out there to help out.